As a whole, vehicle sales dropped for the first time in 7 years, dropping by 15.22 percent compared to in 2017. This has affected Foton as well, though its drop of 2.72 percent is negligible compared to other commercial vehicle-centric companies like Isuzu which saw its saws plummet 44.4 percent. In its 12th year in the Philippine automotive industry, Foton Philippines has managed to climb into the Top 10 Best-Selling Brands in the country, settling in at 9th position just below Isuzu and above Chevrolet. This is a big jump compared to in 2017 where they were ranked 12th. Compared to other truck manufacturers, Foton has finally secured its place as the third best-selling truck brand just behind Isuzu and Mitsubishi-FUSO. Foton opened 3 dealerships in 2018: Foton Cainta; Foton Talisay, Cebu; and Foton Bauang, La Union. With the government’s Build, Build, Build infrastructure and PUV Modernization program, Foton is looking to continue its positive momentum in 2019, particularly for its light commercial vehicles, light-duty, medium-duty, and heavy-duty trucks. However, this doesn’t mean they won’t be launching any new passenger vehicles. At the Manila International Auto Show (MIAS), Foton will be launching its new Gratour along with its new M-Series Euro 4 trucks. They will have 8 new vehicles launching at the show: Gratour Mini Van 1.5L, Gratour Midi Truck 1.5L, Gratour TM 1.5L, Gratour iM6 Comfort Edition, EST-M Cargo 32-Footer, Hurricane EST-M 20-Footer Dump Truck, Hurricane EST-M 22-Footer, and Hurricane EST-M 25-Footer. Together, these 8 vehicles will help them increase their market share in 2019. 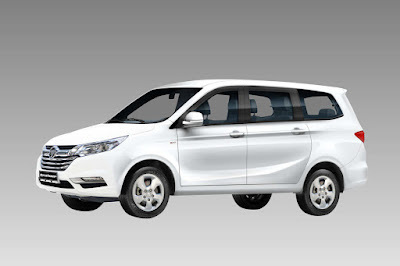 Foton is slated to add an additional 8 more dealerships this year bringing its total network count to 34 by the end of 2019. These are: Foton Puerto Princesa, Palawan; Foton Pasig; Foton Bacoor, Cavite; Foton Metro Clark; Foton Bacolor, Pampanga (Heavy-Duty Truck Segment); Foton Tagbilaran, Bohol; Foton Iloilo City (Heavy-Duty Truck Segment); Foton Congressional Avenue (Heavy-Duty Truck Segment). Promoting a higher level of professionalism and brand-building, more dealers will take on the new Foton Exterior Identity (EI), shifting from Blue to Gray. Most recently, Foton A. Bonifacio completed its transformation with 11 more dealerships slated for a refresh this year. Launched already last year, the company will be expanding the coverage of its EC-Parts and EC-Service Truck to strengthen their parts and aftersales performance. Foton Philippines’s aggressive plans for this year, including a new marketing campaign shows the company’s ambition to become a leading automotive brand in the country. It must be remembered that in 2016, the company hopes to achieve 20,000-unit sales by 2020. Currently, that seems like a far-fetched number (they’ve maintained annual sales at around 4,000 units for the past 3 years), the right mix of products, aftersales service, and dealer-partners can perhaps push them to achieve their goal.